At the historic summit between US President Donald Trump and North Korean leader Kim Jong-un in Singapore on June 12, the two promised to work together for the complete denuclearization of the Korean Peninsula. Yet neither of the leaders can be trusted, according to Nobel Peace laureate Ira Helfand. “Certainly, we are in a better position than a few months ago when they were hurling nuclear threats at each other,” Helfand told The Korea Herald in an email interview after attending a conference marking the 18th anniversary of the first inter-Korean summit held in Seoul in mid-June. The conference was organized by the Kim Dae-jung Peace Center and the Permanent Secretariat of the World Summit of Nobel Peace Laureates. “Still, it is hard to have much trust in either of these men,” He said. Helfand, co-president of International Physicians for the Prevention of Nuclear War, has been working on spreading information on the medical consequences of a nuclear war. The organization received the Nobel Peace Prize in 1985 for raising global awareness of the catastrophic consequences of atomic warfare. 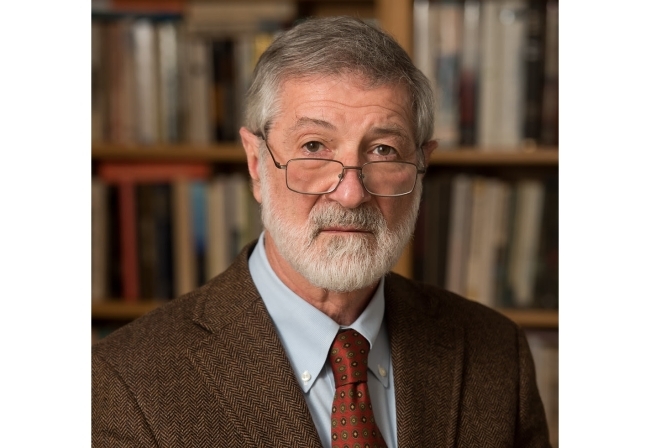 Helfand is also a co-founder and former president of Physicians for Social Responsibility, and a member of the international steering group of the International Campaign to Abolish Nuclear Weapons. He currently works as an internist and urgent care physician at Family Care Medical Center in Massachusetts. Helfand: IPPNW is an international federation of physicians dedicated to educating the people of the world and their leaders about the medical consequences of nuclear (weapons) in the belief that if these consequences are fully understood, nations will work to eliminate their nuclear arsenals. Most people have a general idea that nuclear war would be extremely destructive, but it turns out that vast numbers of people and many world leaders do not understand fully how catastrophic a nuclear war would be. In particular, they are not aware of the recent studies that show that even a very limited nuclear war, involving as little as 0.5 percent of the world’s nuclear weapons, would cause worldwide climate disruption and a global famine that could put up to 2 billion people, including most of the population of South Korea, at risk. In meetings with Unification Minister Cho (Cho Myoung-gyon) and Prime Minister Lee (Lee Nak-yeon), I presented the data that we have recently generated showing that a pre-emptive US attack on North Korean military sites related to its nuclear and missile programs would blanket much of North Korea and significant, heavily populated areas of South Korea with deadly radioactive fallout. Some 780,000 would be killed and more than 2 1/2 million would be injured. KH: What are your thoughts on North Korea’s recent summits with South Korea and the US? Helfand: I was very interested to hear most speakers at the conference expressed optimism that progress had been made building trust between Kim and Trump. Certainly, we are in a better position than a few months ago when they were hurling nuclear threats at each other. Still, it is hard to have much trust in either of these men. Trump arrived in Singapore on a flight during which he tweeted a total repudiation of the statement he had agreed to hours earlier at the G-7 Summit in Quebec. You can’t get less trustworthy than that. And just a few weeks before the summit, he abruptly canceled the meeting with Kim in a fit of pique, only to reschedule it a few days later when he realized how bad the cancellation made him look. The bottom line is that neither of these leaders can be trusted, and the people of the United States and South Korea must keep up the pressure on them to continue the current diplomatic efforts. When it becomes clear to Trump that Kim is not planning to give up his nuclear weapons, he can react in one of two ways. He can just lie, as he does so effortlessly, and claim that he has gotten a great deal and that he has ended the North Korean threat. Or he can revert to “fire and fury” mode and move towards the military “solution” to the problem that his national security adviser John Bolton favors. If that happens, it will be up to all of us to try to stop him. KH: Do you think the anti-nuclear movement across the globe are going well? If not, what should people do to achieve the nuclear-free world? Helfand: The big story in the last few years has been the great success of the International Campaign to Abolish Nuclear Weapons in helping to bring about the Treaty on the Prohibition of Nuclear Weapons. This landmark agreement defines the simple possession of nuclear weapons as an illegal act and will help to create a new international norm and increased international pressure on the nuclear-armed states to honor their agreements to negotiate the elimination of their nuclear arsenals. KH: What is your view on the anti-nuclear movement, including its challenges and opportunities? And what can ordinary people in Korea and elsewhere can do for the anti-nuclear movement? Helfand: Support for the TPNW has come mainly from the governments of countries that do not have nuclear weapons and do not have alliances with nuclear-armed states. Now it is up to the citizens of the countries that do have these weapons, or that rely on nuclear-armed allies, to change the policies of these countries. In the US we have launched a national campaign, “Back from the Brink: A call to prevent nuclear war” that is working to bring about a fundamental change in US nuclear policy. We want the US to understand that the policy of maintaining a nuclear arsenal to “deter” its enemies poses totally unacceptable risks to all humanity. Instead, we in the US need to work to rid the world of all of these weapons. The US should enter into negotiations with all eight of the other nuclear-armed states for a verifiable, enforceable plan to eliminate all of their nuclear arsenals according to a strictly defined timetable. This is an ambitious goal and we may not be successful. But we have to try; there really is no alternative. In South Korea, I would hope that people will push their government to sign the TPNW. KH: What should the South Korean government do to bring peace to the Korean Peninsula? Helfand: I am deeply grateful for President Moon’s initiative to create a diplomatic solution to the current Korean crisis. I think this policy reversed the frightening march to war that we saw last year. But the job is not finished and there remains a great danger that the diplomatic effort will fall apart. South Korea needs to continue its skillful efforts to bring the volatile leaders of the US and North Korea to a peaceful resolution of this situation. The TPNW can be a powerful aid to South Korean efforts to denuclearize the peninsula. South Korea and North Korea could sign the Treaty (on the Prohibition of Nuclear Weapons) together. The North would have to establish a timetable for the verifiable destruction of its nuclear weapons under international inspection, and the South would have to end its joint planning for the use of nuclear weapons with the United States. Those are the steps that are essential for denuclearization and the treaty provides an international framework for achieving that end with the support of the global community.